A summer camp job offers invaluable skill-building, leadership, training and enrichment opportunities that can’t be found anywhere else. The experience allows staff to learn and develop skills that will enhance their job marketability. The corporate world recognizes that the experience as a camp counselor translates into excellent management and personnel skills. If a staff member’s career goal is working with youth in some capacity, then camp is the ideal place to gain experience with children. Counselors are able to learn how their campers react to new environments, handle homesickness, gain a sense of independence and learn how to form friendships with other campers that were strangers before the summer began. There’s a misconception that spending a summer working at camp will only benefit you if you’re headed towards a career as a teacher or similar youth development job. That’s simply not true. Being a summer camp counselor and working directly with children teaches staff numerous skills that will benefit them in any future profession. Leadership – There are endless opportunities to become a leader. Instantly a group of campers look up to their counselors and seek guidance and wisdom from them. Problem Solving – Plans can change at a moment’s notice at camp. A rainy day can turn an outdoor activity into an impromptu indoor game. Teamwork – At Camp North Star our staff is a diverse and talented group of counselors from across the United State and around the world. Counselors learn how to communicate, compromise and lend a helping hand to their co-workers. Work Ethic – Working at camp may be one of the toughest jobs around. Long hours, hot days, challenging campers, all while keeping a genuine smile on your face. Time Management – Counselors at Camp North Star are supervising campers from wake-up at 7:15 AM till bed time. Be on time for breakfast, lunch and dinner. There’s a six-period activity day. Don’t be late for camp meeting. At the end of the day, staff are able to convince campers when it’s time for lights out so they have enough sleep to do it all over again tomorrow. A job at a summer camp is much more than being a counselor. It’s being a teacher, role model and hero. Spending two months at Camp North Star can be the most rewarding experience in a staff member’s life. 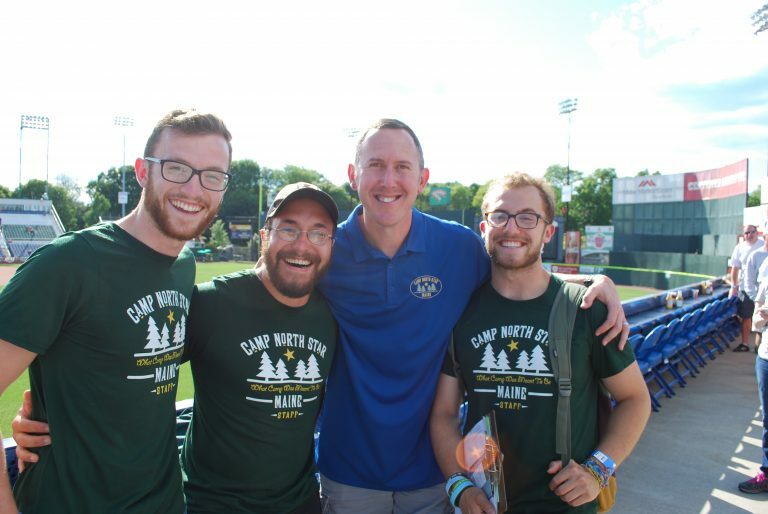 It’s a unique opportunity to make a positive impact in the lives of so many people—campers, fellow staff and themselves.